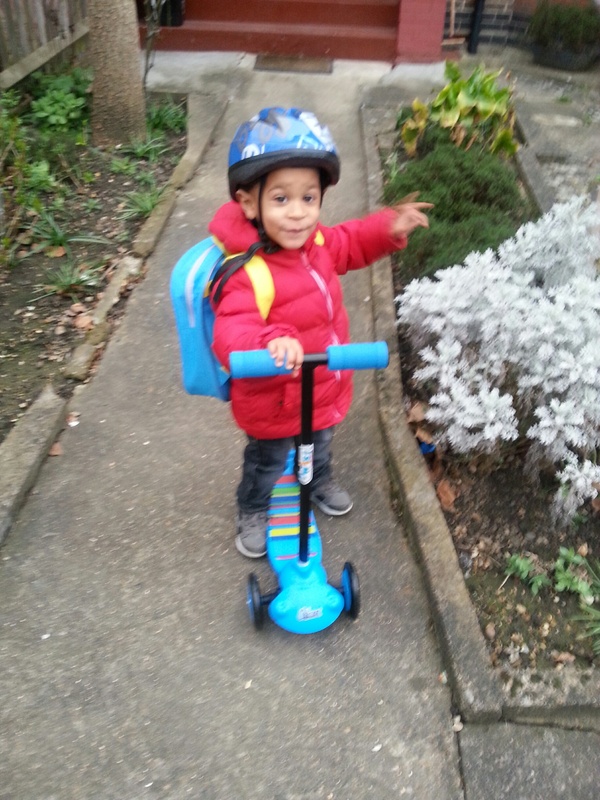 Max is very happy with his new (and first ever) scooter. So much so, he wanted to go to bed with it, along with the helmet. 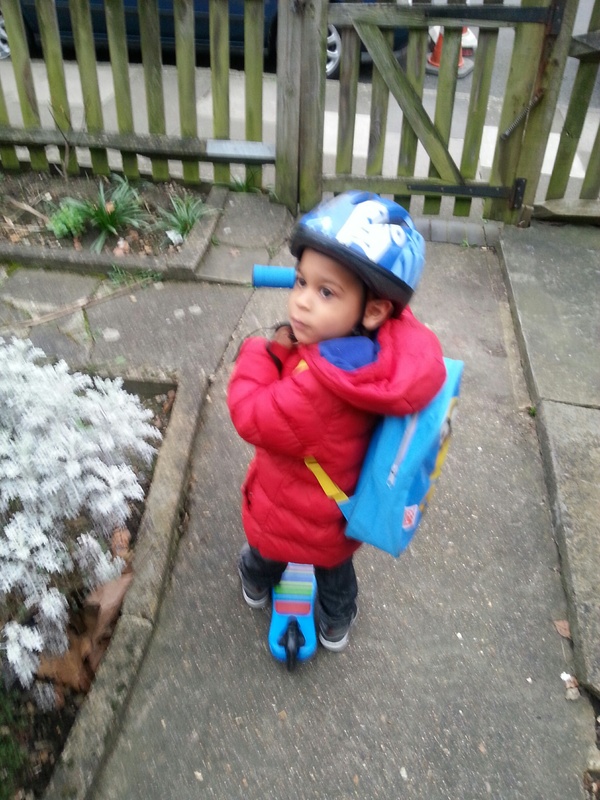 This was the first day he went to Pre-School on it. Once there, he wanted to take it into the play area to keep it by his side. Needless to say, it didn’t go down very well when he realised his wasn’t allowed to, so threw a tantrum.